For years now, I've driven past this abandoned art deco theater on the way to class. It's a beautiful old building and it's a shame to see it boarded up when it has so much potential! I rarely go to the movies, but if cinemas were still like they used to be, I would probably go every weekend. 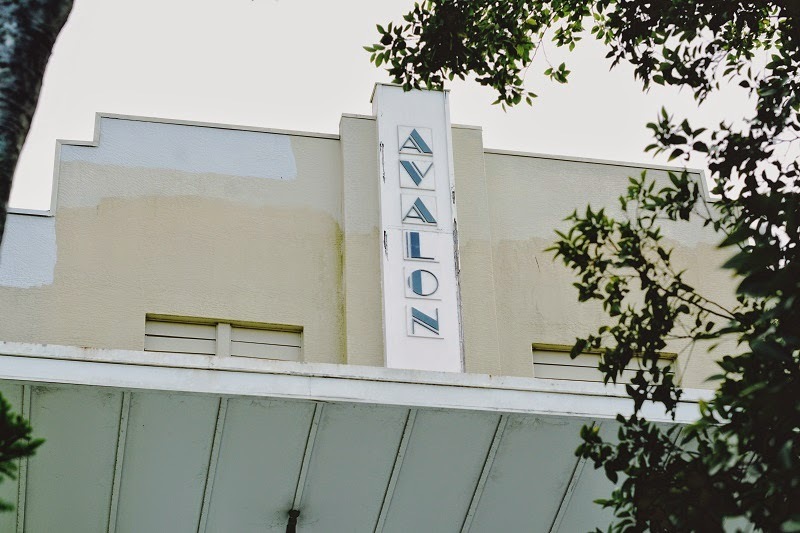 The Avalon was built in 1921 and movies were screened there until the late 1940s. Today the building belongs to the university I attend, and is sadly unused. Unfortunately I don't have a wide angle lens so I couldn't get any full shots of the theater, but there are a few photos of the whole building on my instagram! While red is always my go-to lip colour, I felt like being a bit adventurous and decided to give dark wine coloured lips a go. I'm a bit unused to the colour on me, but I do like it and I felt that it went nicely with this new Hellbunny dress. 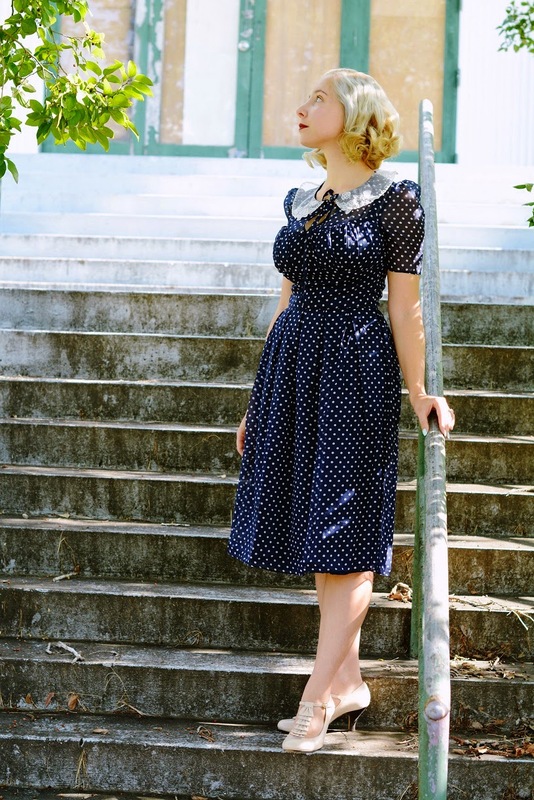 I am always excited when Hell Bunny releases a new collection and I really loved their last one a few months ago that had a few great 30s and 40s inspired looks! I hope you're having a terrific weekend - big hugs! hello there,ciao...always You create stunning photos with beautiful locations!...this outfit is charming...very charming...the blend of colours is great along with Your complexion and gorgeous hair colour...cheers! What a gorgeous theater (from what we can see), and what a gorgeous dress! 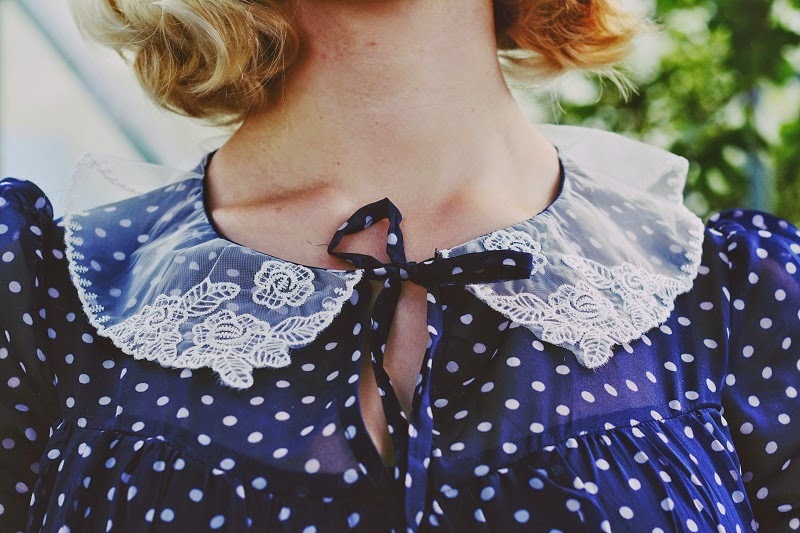 I'll have to check out that collection - I don't go for repro very often, but I've been looking for some 30s inspired looks lately, and I've heard really good things about HellBunny. I really like this darker lip color on you. I think there's something really beautifully dramatic about dark wine lipstick on a blonde, and this looks beautiful on you. The darker lip really suits you! My friend wrote a piece about the Avalon for the UQ magazine, Semper Floreat. Apparently it was used for a while by the uni as a theatre space for many years, but they shut it in the 80s (I think? Might have even been later) because there's so much asbestos in the building. At the moment, they can't afford to do anything with it and it's too dangerous to use so it's just sitting empty. So sad! CUTEST dress EVER! Seriously. Your looks are just the best. 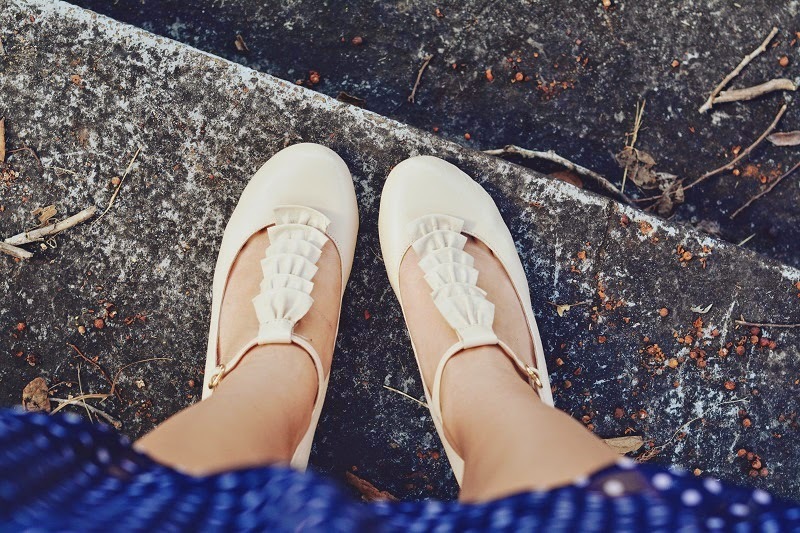 Loving those shoes so much! And I know how you feel about old buildings. It breaks my heart to see them all boarded up. At least they are still there for now though.